Maybelline Creamy Matte Lipstick swatches | Badudets Everything Nice! I was at SM Mall of Asia yesterday and I passed by the beauty section, and ladies, you know what happened next. 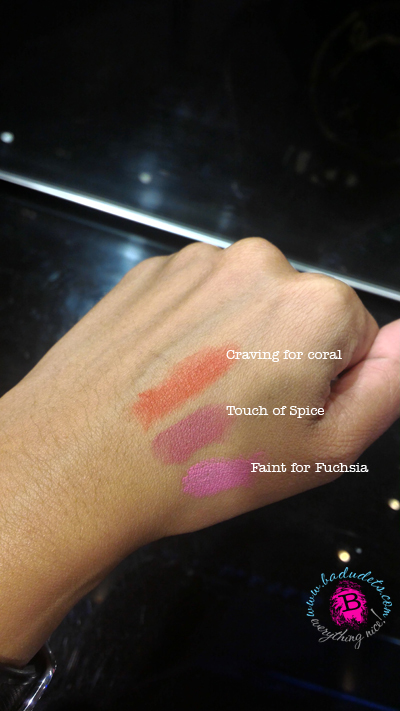 *wink* It’s a lippie swatch fest for me whenever I’m in the make-up section and I swatched the new Maybelline Creamy Matte Lipsticks. I said I won’t buy another lipstick until I finished a tube but this changed my mind.